It’s nearly summer! Or, maybe not just yet, but it’s not winter anymore and you have to have something to look forward to. So I’m thinking about what I’m going to do with my summer already because it’s one of my favourite times of the year. Apart from jetting off to somewhere with a more reliable summer, there’s loads to do at home too. But out of everything, the great British tradition of getting out the barbecue, come rain or shine, has to be at the top of the list. And it’s even better if you turn it into a proper garden party with all your friends. But it can be a lot of work, and you don’t want it to be more stress than fun. So follow my ideas for throwing a stress-free BBQ that everyone will remember. Parties are fun when everyone just turns up and has a good time, but they’re even better when you have an idea to work with. You can make themed decorations and food, and you might be able to get everyone to dress up too. There are loads of things you could do for a garden party. But I love anything vintage, so a barbecue with plenty of bunting, Pimms, strawberries and cream, and tea dresses would be amazing. You don’t have to stay in your garden though, so maybe you’ll be barbecuing on the beach, in the park or by a pool. You could have a Hawaiian theme with leis and Hawaiian punch – maybe even some hula dancing! The most important part of the barbecue has to be the food. Otherwise, it’s just an ordinary party. Obviously, you’ll need plenty of meat, but it’s what you do with it that’s important. If you’ve chosen a theme, you can use it to help you find recipes for marinades, burgers and other things. But don’t forget to provide some non-meat options, especially if you have anyone vegetarian or vegan coming. And make sure you’ve got plenty to drink too, so no one’s glass runs dry. Then there’s the barbecue itself. If you want to change up the way a BBQ traditionally works, choose something entirely different, like the Lotus Grill. This small charcoal grill is smokeless and makes barbecuing much more social. It’s battery-powered, and every two or three people can have one to themselves. Plus, they come in lots of beautiful colours! You can also look for healthier recipes to buck the trend against artery-clogging red meat. Using your theme, you can plan out everything from the decorations to the drinks. But it’s a lot to do on your own. The best thing to do is rope in some friends or family to help you with all the hard work. Put someone on barbecue duty or have them lend a hand hanging up bunting or putting out tealights. Even better, get everyone to bring a dish with them. 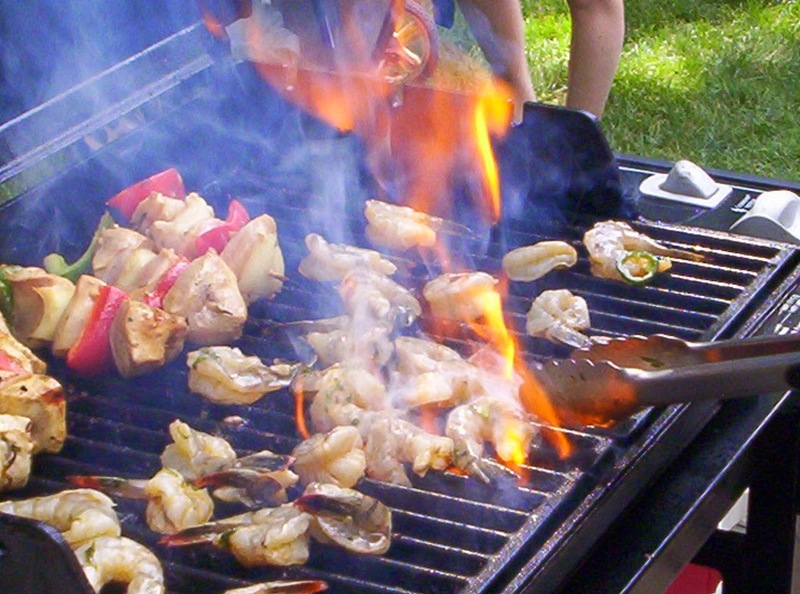 Having your barbecue party run smoothly is all in the planning. Find dishes you can make the day before and get all your decorations ready so that you can relax on the day. Previous Post Fashion | How I Make Shopping for Clothes so Much Easier!